We had an interesting afternoon yesterday. I was Sonia’s assistant (translation = gear carrier) while she was photographing some adoption profile shots for two huskies. If you ever want to set yourself a challenge, try photographing huskies who know almost no commands, who won't stay still for more than two seconds, all on a cold windy beach with sand blowing around every which way. They are beautiful dogs, but must be one of the hardest to photograph from what I’ve seen! Anyway that was the highlight of my weekend. I’ve dug this shot out of the archives to talk about today. It’s of one of the many ocean pools in and around Sydney. The reason I picked it is to talk about pointing the “wrong” way. Being on the east coast, sunrise is generally the best time to shoot seascapes with the sun coming up over the horizon. I’ve talked recently about shooting directly into the sun being one of my favourite things to do. However, on the odd occasion, shooting east at sunset (i.e. with the sun behind you) can produce some interesting light too. In the right conditions (usually just after a storm) the whole sky lights up at sunset which means you can point in any direction and capture the burning reds and oranges in the clouds. But when there aren’t any clouds and it’s not just after a storm, shooting away from the sunset can produce some really beautiful pastel colours. In the shot above, the sun was setting over my right shoulder, so not directly behind, but close enough. And there were some fiery clouds around the sun as it went down. 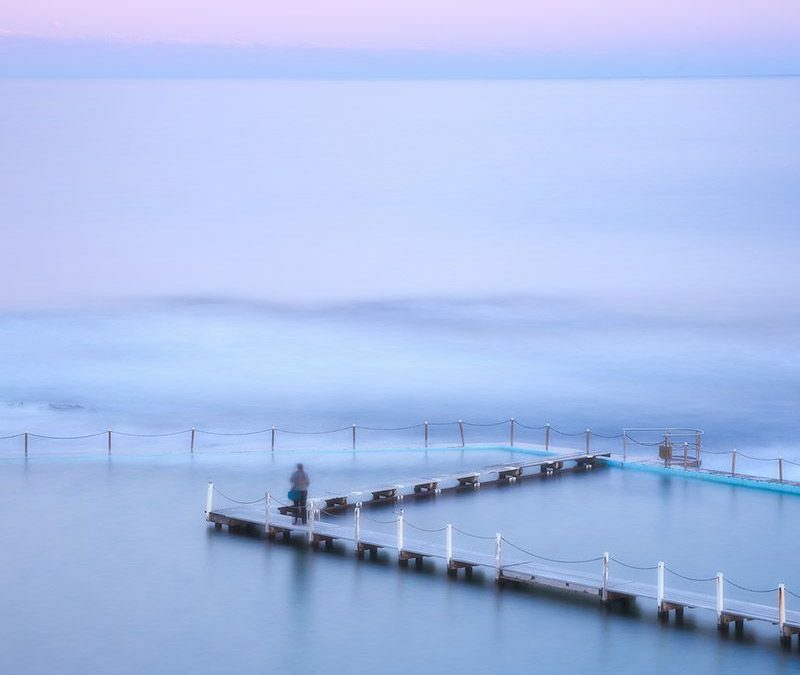 But this time I went for the eastward composition facing the pool and ocean to capture these soft pastel colours. Exposing for 30 seconds, the pastel colours combined with the smoothed out water create a really soft look to the final image. This point is really an extension of one of the rules I try to follow whenever I’m out shooting, which is to always check what’s happening behind me. Except, this time I went out intentionally to point the other way and capture these soft colours that would usually be behind me (and potentially ignored). 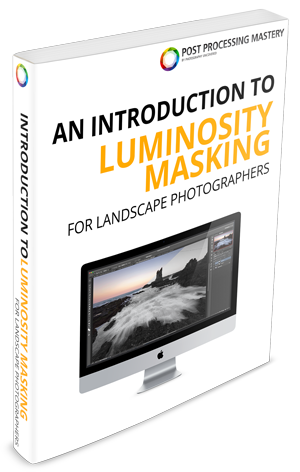 When nature leaves me with LOTS still to do in Photoshop, here’s what I use to get the best out of my landscapes (click here).